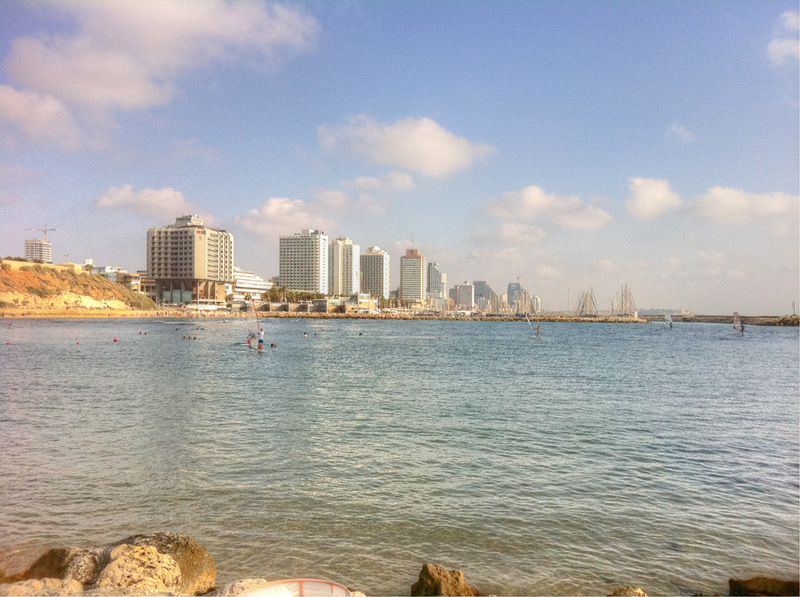 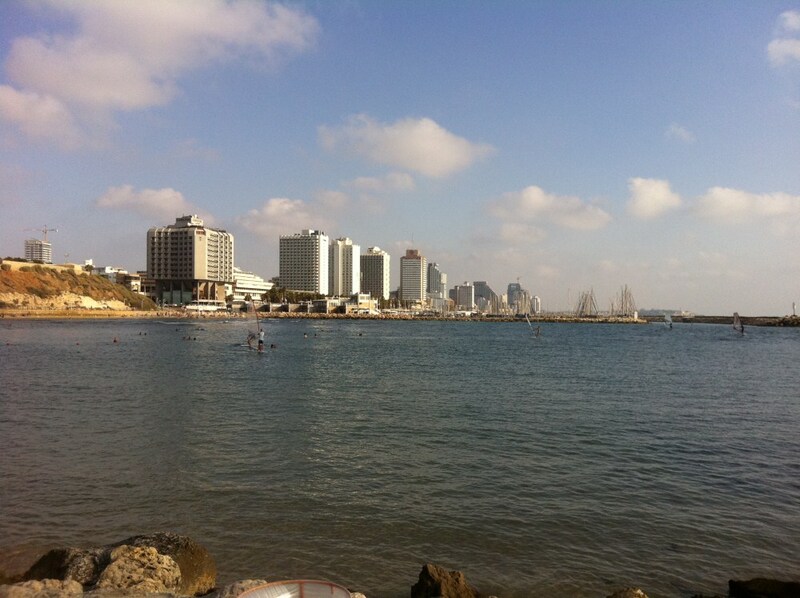 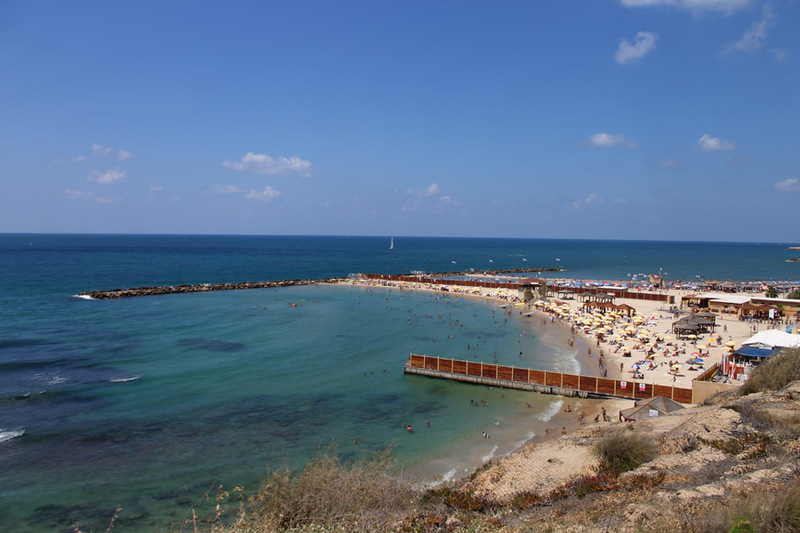 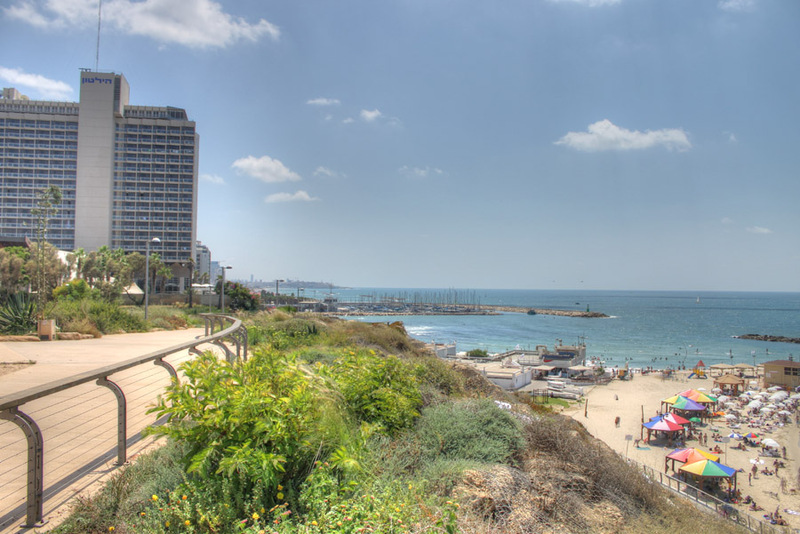 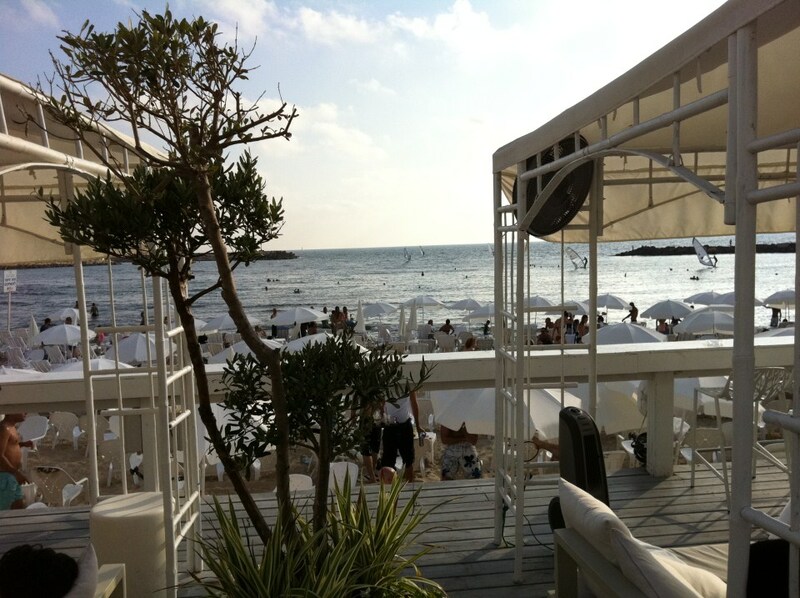 The lovely Hilton beach lays just below the Hilton Tel Aviv hotel is in between Nordau beach and Gordon beach. 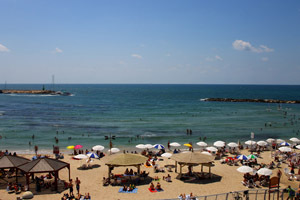 The beach is suitable for everyone, it’s a vivid beach with plenty of things going on in and around it all the time. 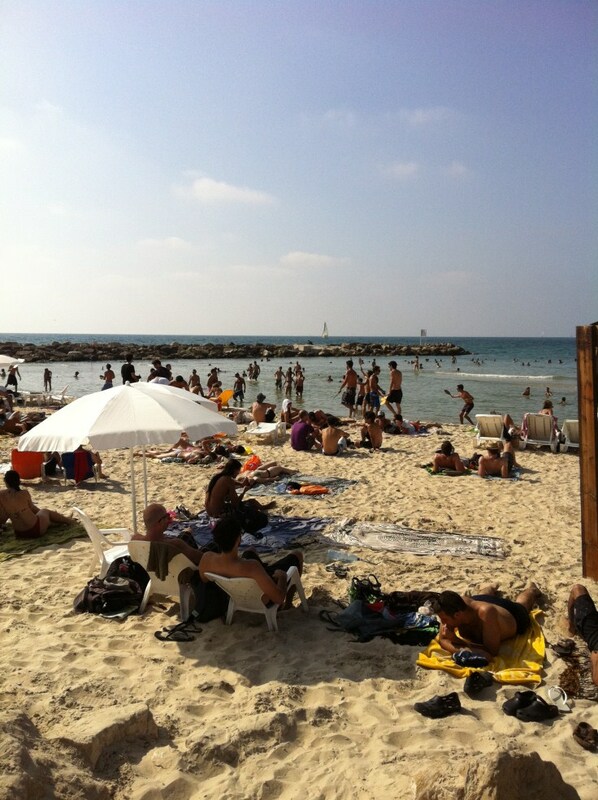 This beach is very well looked after, it’s pretty stretch of sand is maintained well and the water is clear and lovely. 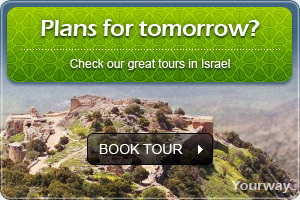 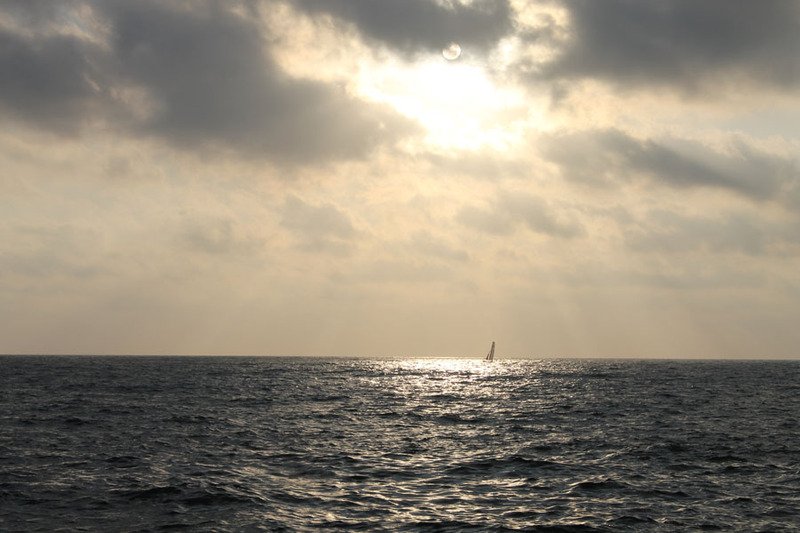 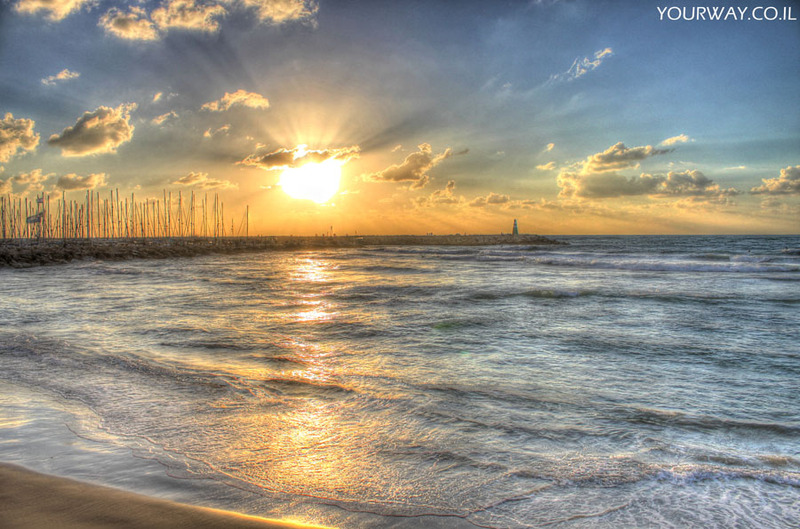 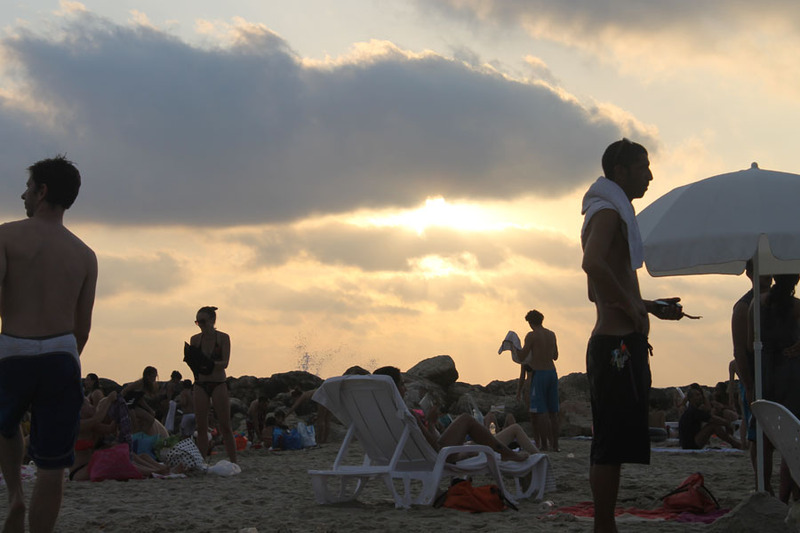 The beach is one of the best surfing spots on the Israel's coastline if not the best. 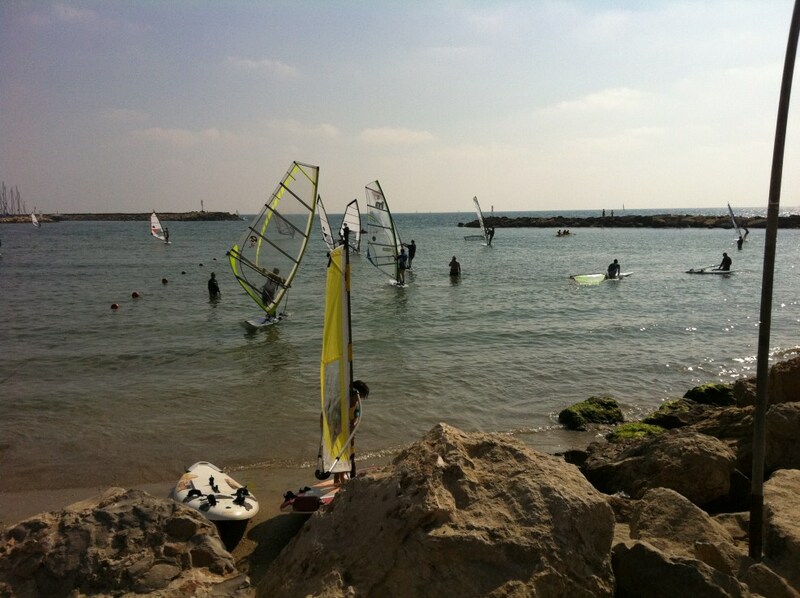 This is owing to a reef just off the shore which creates perfect waves surfers long for. 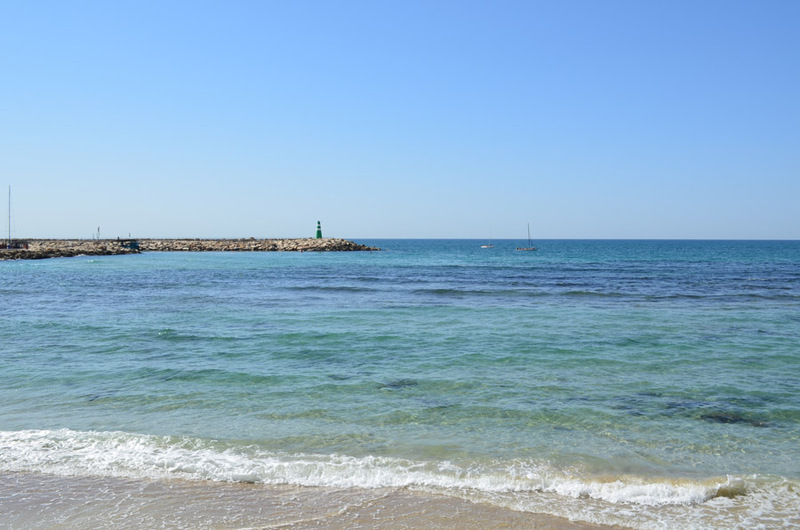 There is a surfing club at the south end of the beach so whether you are a surfer or just enjoy watching surfers catching waves on most days of the year this is defiantly the beach for you. 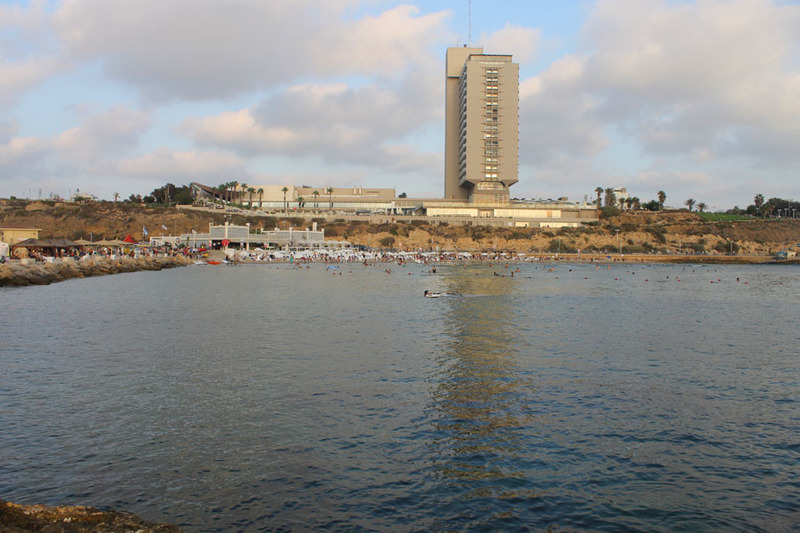 This location hosts the annual surfing competition which attracts many people from all around the country. 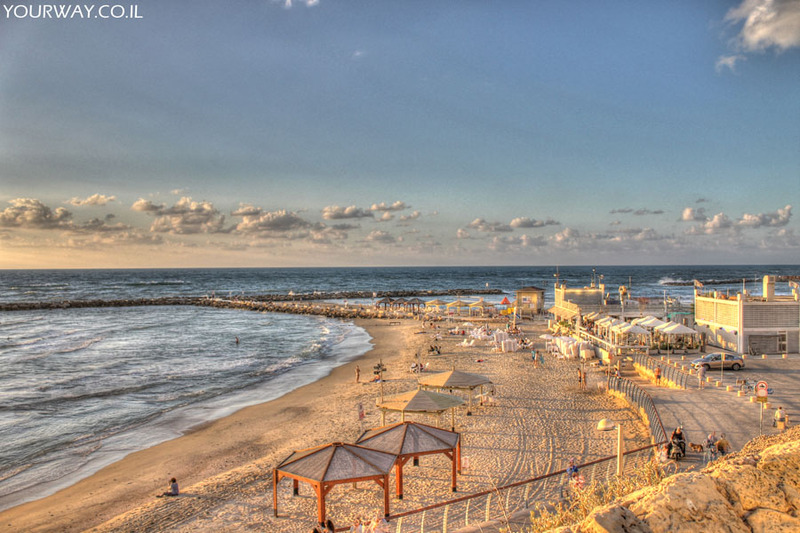 With two lifeguard stations, a cafe-restaurant, deck-chairs for hire, a surfing club and sports and games appliances, this beach literally has it all. 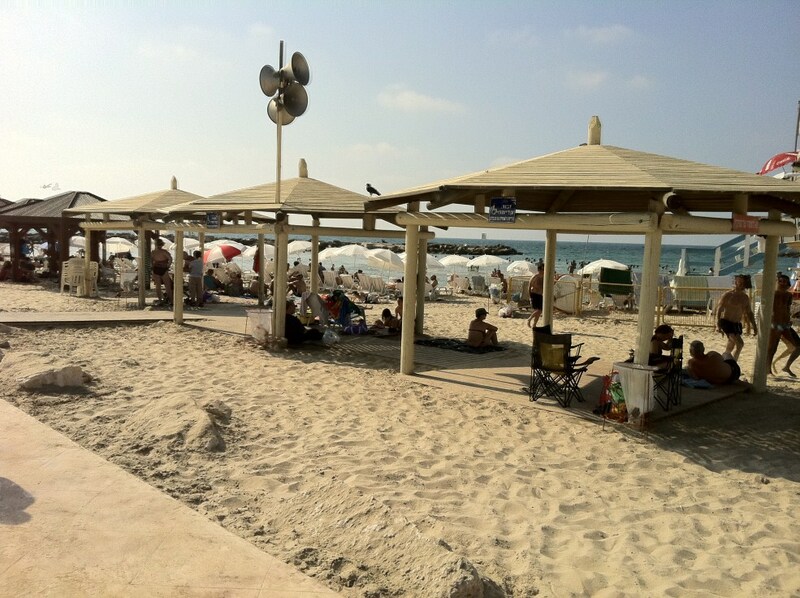 Except for the surfing activities the beach has a marvelous café-restaurant and plenty of chairs and umbrellas to hire. 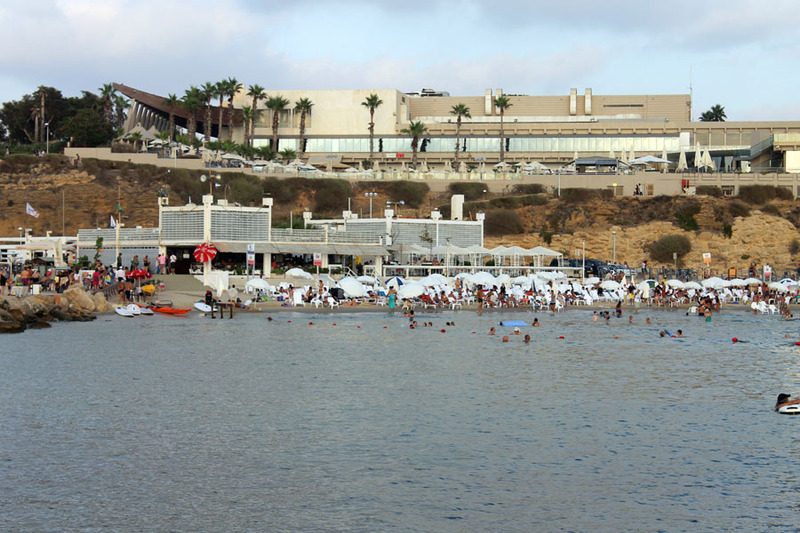 The beach has very easy access to and parking can always be found at the Hilton hotel or around. 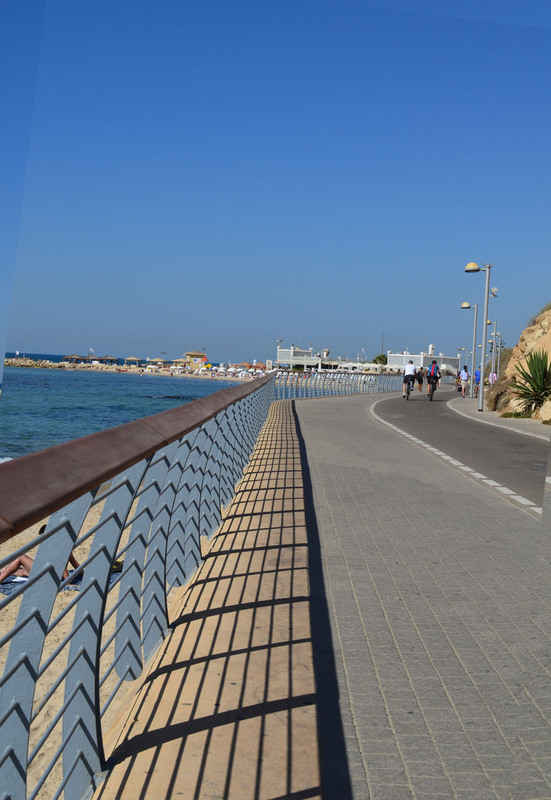 The Hilton Beach has recently been improved, to allow trouble-free access to the disabled public, who come to enjoy the beach and the sea. 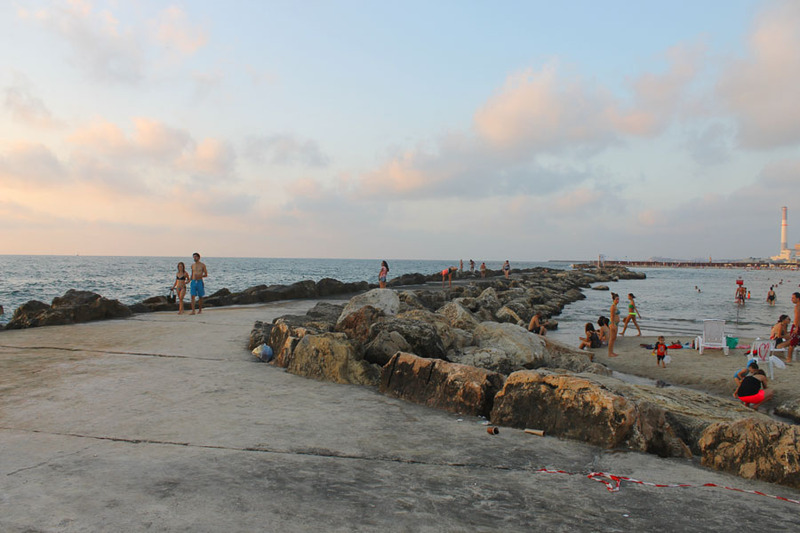 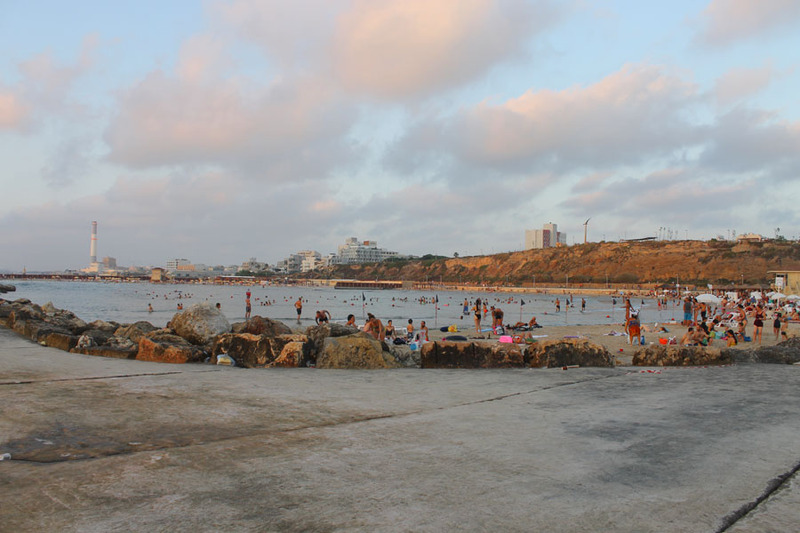 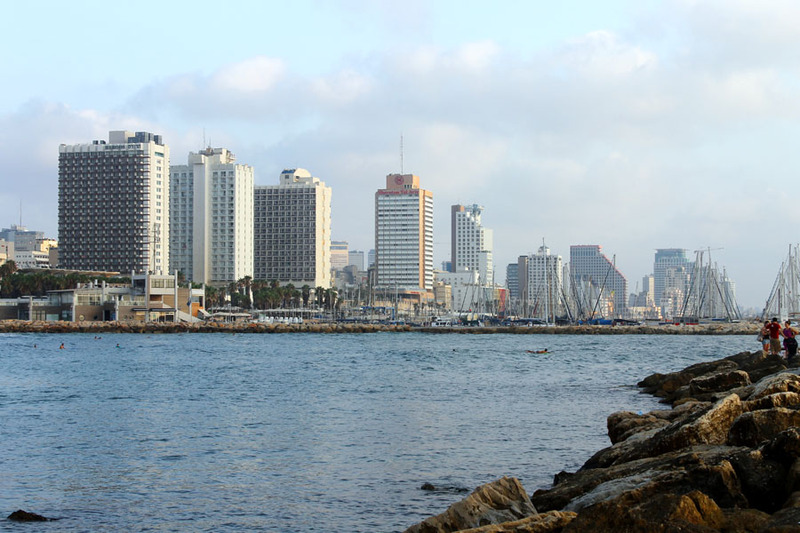 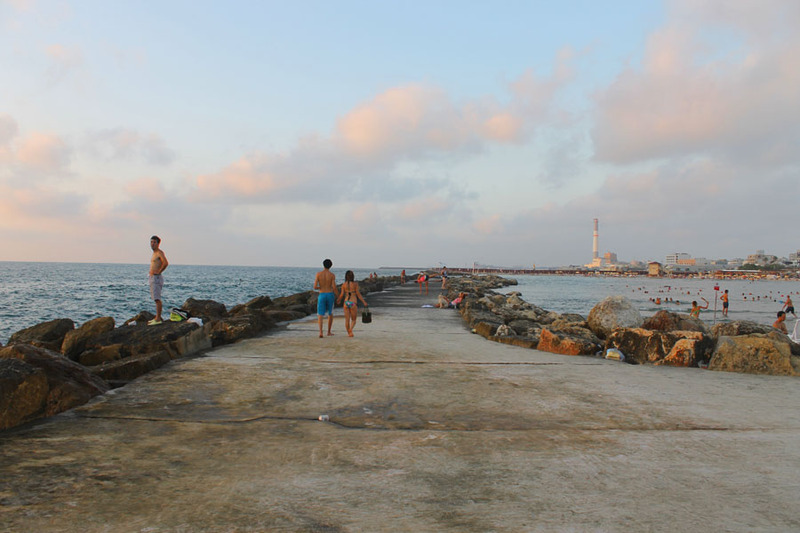 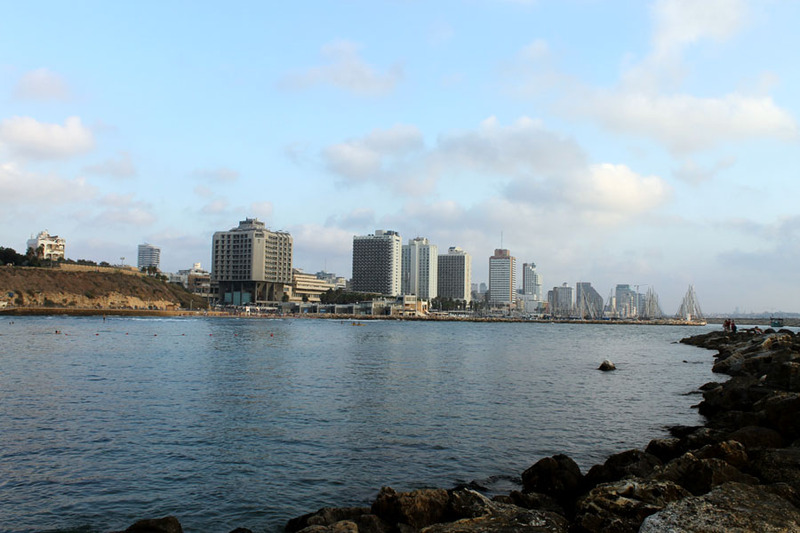 The northern part of the beach is the only stretch of beach in Tel Aviv where the admission of dogs is permitted. 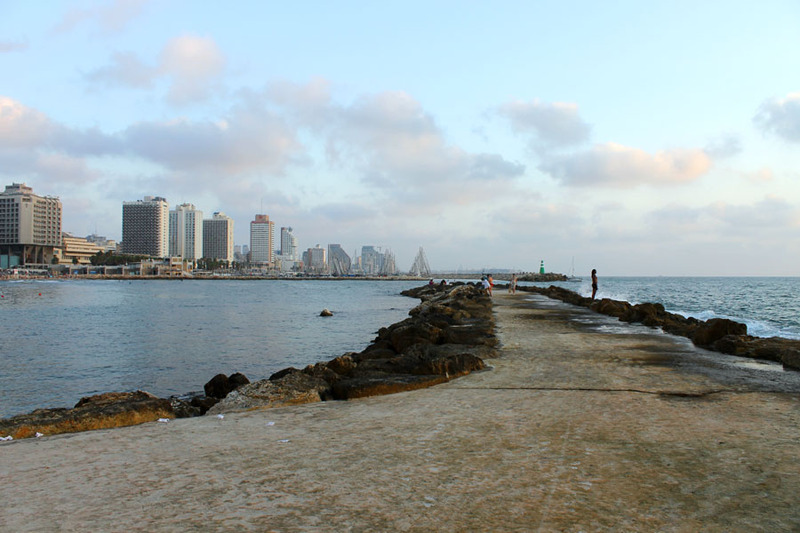 The main attraction for couples is the romantic pier, with benches and lighting for a night time stroll. 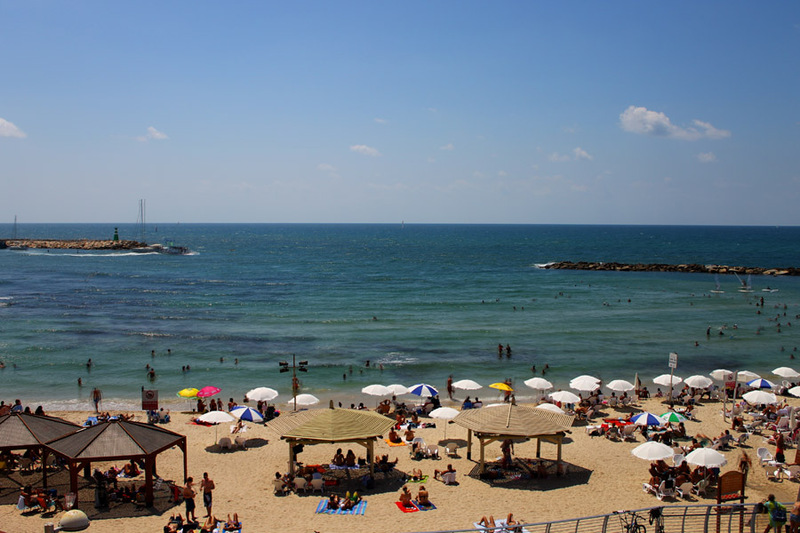 Hilton Beach is a very common beach for residents, tourists and especially surfers and is highly recommended by us.